Sooo busy lately, working with my colleagues on the latest version of the web site for FPI. It’s a much more flexible site bringing everything under one virtual roof. It’s a lot of work to get the thousands of graphic novels ready and moved over of course. Still running the existing site but I’ve got a good chunk of stuff up on the new site now and I’m pretty pleased with the way it is shaping up, I think its well worth all our efforts.Still, I’ve been spending so much time relentlessly entering graphic novels onto it that I started hallucinating a couple of dwarves on my screen, one dressed as Adolf Hitler and one a miniature Winston Churchill. Both were juggling kiwi fruit for some reason, while behind them a chorus of penguins in blond wigs sang Lily Marlene… At least I think it was a hallucination, perhaps my colleague buried a bizarre screensaver into his code for the site. So I was pretty pleased when a DVD box set arrived from America for me to relax with a bit. 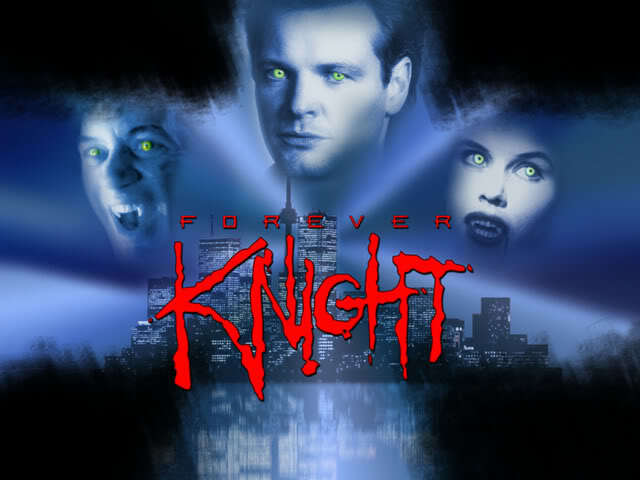 The whole first series of Forever Knight on 5 discs. 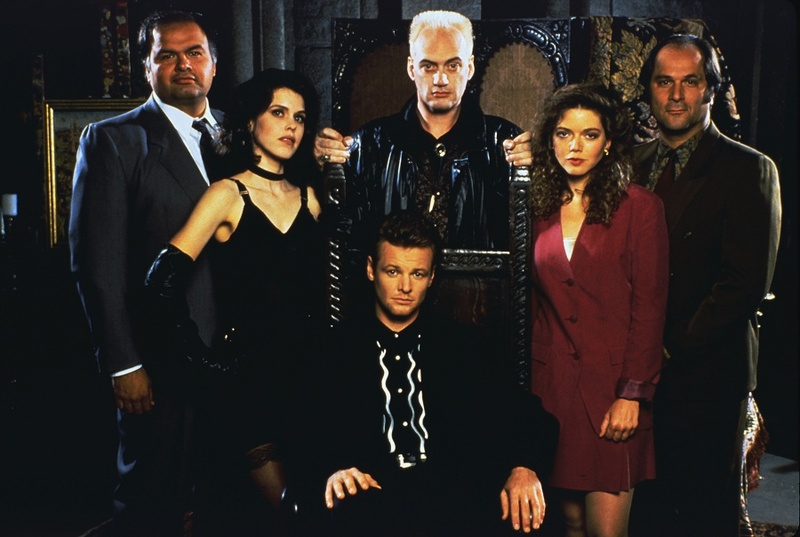 Anyone else remember Forever Knight? Used to be hidden away on the midnight showing (appropriately enough) on Sky back in the 90s. It was about an 800 year old former Crusader knight called Nicholas who was trying to make amends for his evil vampiric life by serving humanity – in this century he had become a homicide detective (working the night shift, naturally) in downtown Toronto. It ran for three seasons and stories varied from some which were very much cop-crime tales to some which drew more on the vampire mythos (which I enjoyed more). Like the rather good Highlander TV series which was running at a similar time (FK’s leading man Geraint Wynne Davies was a guest star in one episode) many of the events in each week’s story would trigger memories from the lifetime of past centuries. FK was also one of the first shows I can recall being the subject of an internet campaign to keep it going – the Kick-start the Knight campaign and had quite a number of websites back in the Olde Days of the Web (the 90s, when we had to wind up the telephone crank similar to those seen in U-Boat movies to make astonishingly fast connections of 28.8KBS, less broadband more rubber band). Despite that I’ve hardly ever met anyone who knows of the show – a chum at my old work watched it and a couple of friends in the States and that was it. Never saw it mentioned in any of the UK SF magazines either, which is why I had no idea it had ever been released on DVD, even if only in the US. Since I picked up a nifty multi-region player recently I thought I’d treat myself to it and it arrived for a decent price reasonably quickly. The only sting was that HM Customs and Excise stung me for import tax – fair enough, it was over their £18 threshold for personal imports, but if the government is serious about pushing internet commerce in the UK they need to look at this – but this tax was doubled by the bloody post office who charged me a handling charge even higher than the import tax. Handling charge??? They’re the sodding post office!! Handling goods is their business!!! They’ve been paid postage then charge you even more to finish delivering it? Is this some scam between Customs and the GPO? What a rip. Certainly something I’ll have to consider before ordering the second volume. 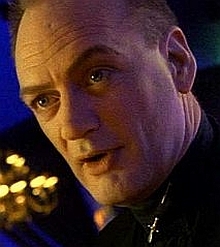 The vampire Lucien Lacroix ruminating on the 60s in Forever Knight.